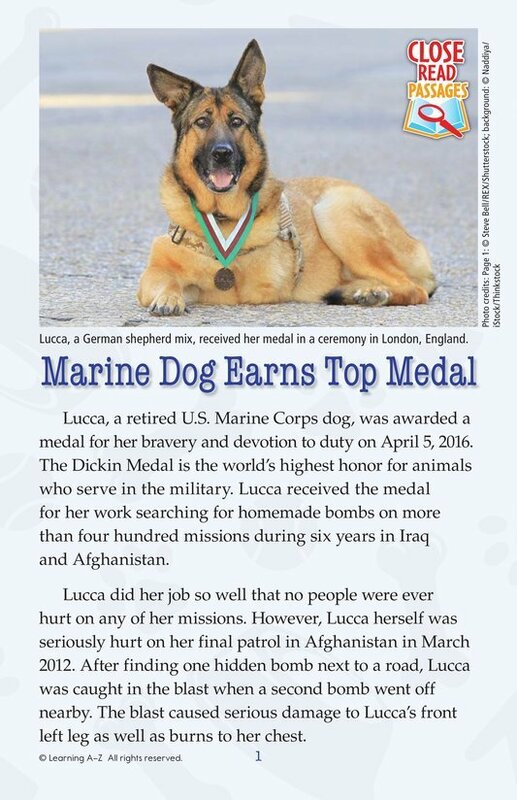 Lucca, a dog who worked for the Marine Corps, has been awarded a medal for her service. Lucca searched for homemade bombs on over four hundred missions in Iraq and Afghanistan. 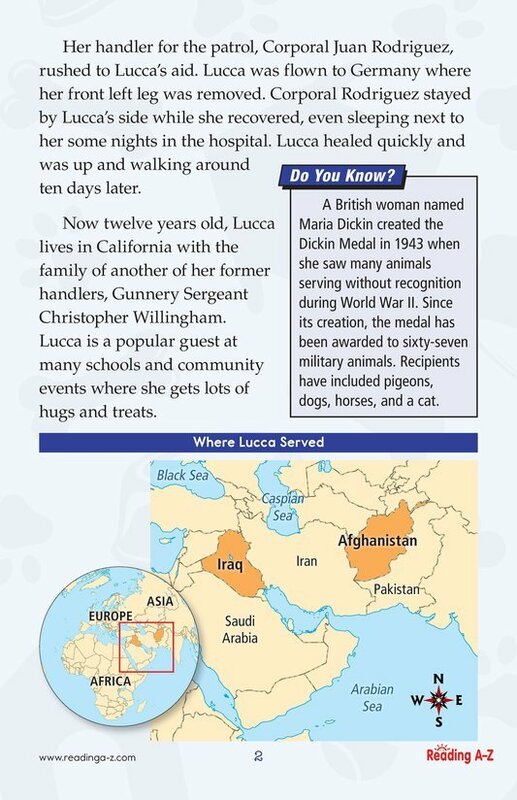 Lucca was wounded in an explosion on her final mission but survived to be adopted by one of her former handlers.